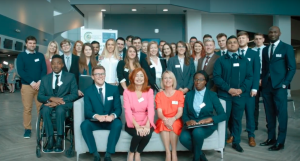 What is the Welsh Financial Services Graduate Programme? 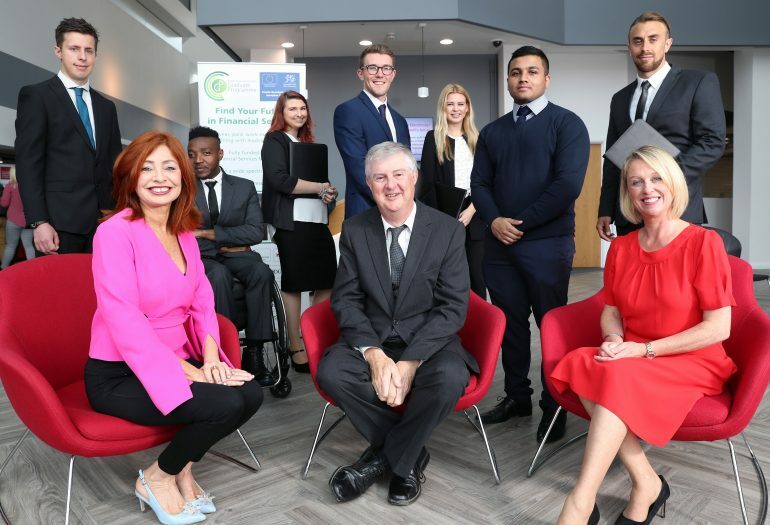 Learn more about the Welsh Services Graduate Programme, a unique partnership between leading financial services employers, academia and the Welsh Contact Centre Forum. Since first launching in 2013, the programme has recruited and developed over 70 graduates, 95% of which have secured permanent roles with participating companies or within the financial services sector. The first version launched in 2013 as a Welsh Government backed pilot programme, with part-funding now received from the European Social Fund. Participating companies include some of Wales’ largest financial organisations and a growing number of ambitious home-grown firms including: Admiral, Atradius, Vauxhall Finance UK plc, DS Smith, Hodge Bank, Lexis Nexis, V12 Retail Finance, Composite Legal Expenses, Development Bank of Wales, Optimum Credit, Principality Building Society, Legal & General, Motonovo & the Monmouthshire Building Society.